A retractable plastic and metal ball pen with translucent outer barrel, patterned silver inner barrel, soft touch rubber grip, 1200 meters of German DOKUMENTAK Ink, and a tungsten carbide ball. 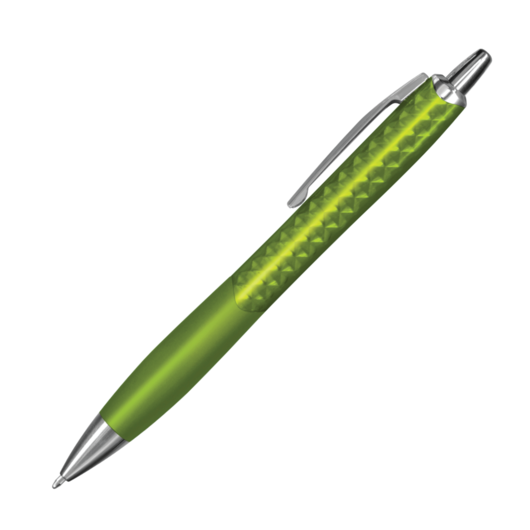 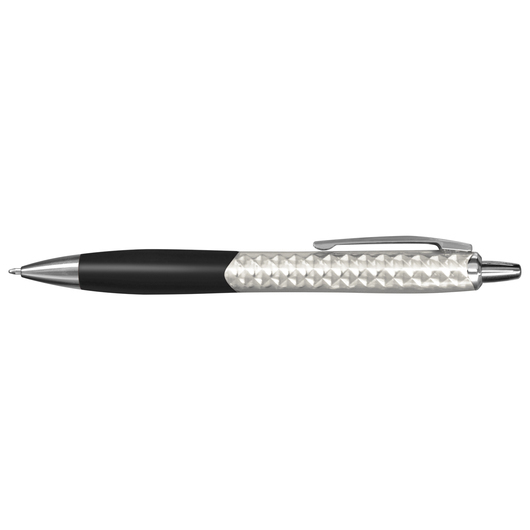 With its unique translucent outer barrel combined with a patterned silver inner barrel which creates a unique light refracting effect, this retractable ball pen delivers a style like no other. 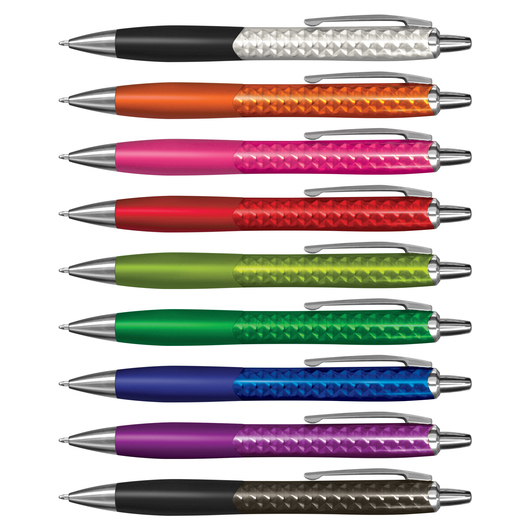 It features a soft touch rubber lacquered grip and shiny chrome trim, black refill with 1200 metres of German manufactured DOKUMENTAL ink, and a tungsten carbide ball for improved writing quality.